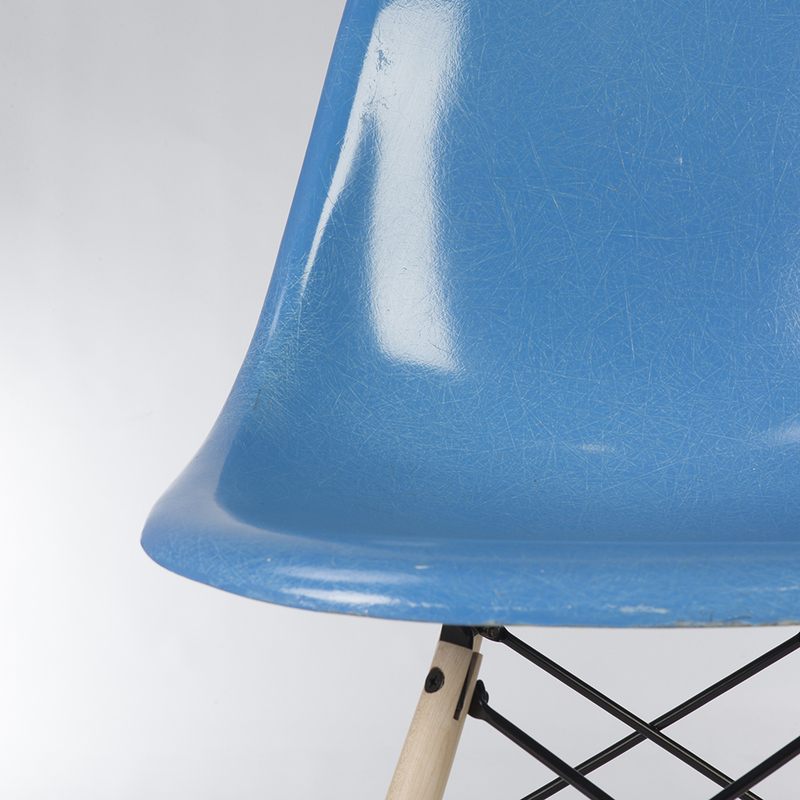 A cobalt blue vintage authentic Eames fiberglass side shell chair for Herman Miller on a replacement Herman Miller maple DSW base looks phenomenal. The cobalt blue is a rare colour with fantastic clearly seen fibres. 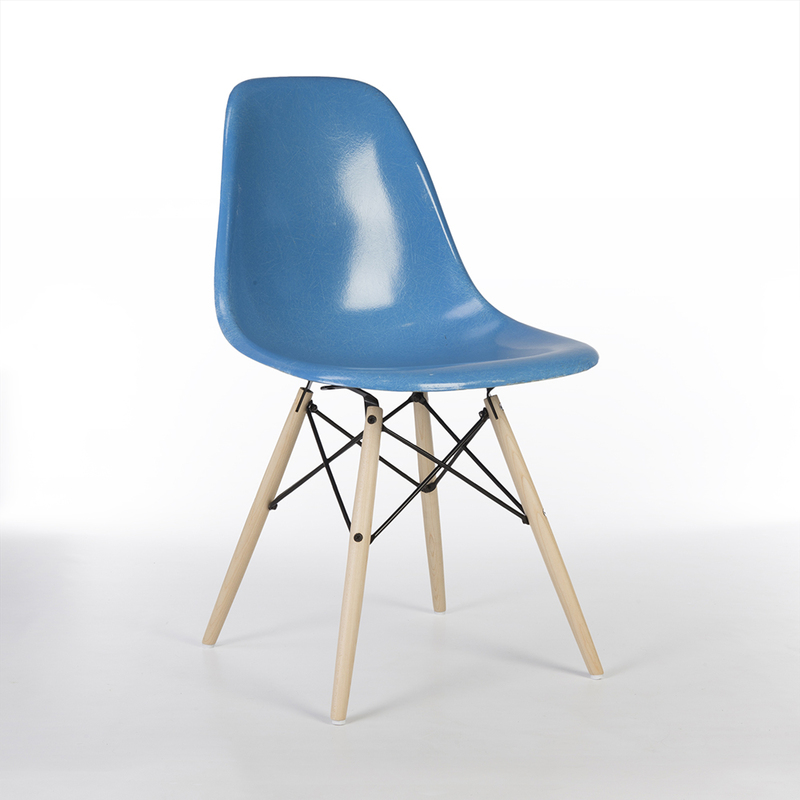 This chair will fill any space it is placed into and will prove to be an easy conversation starter. 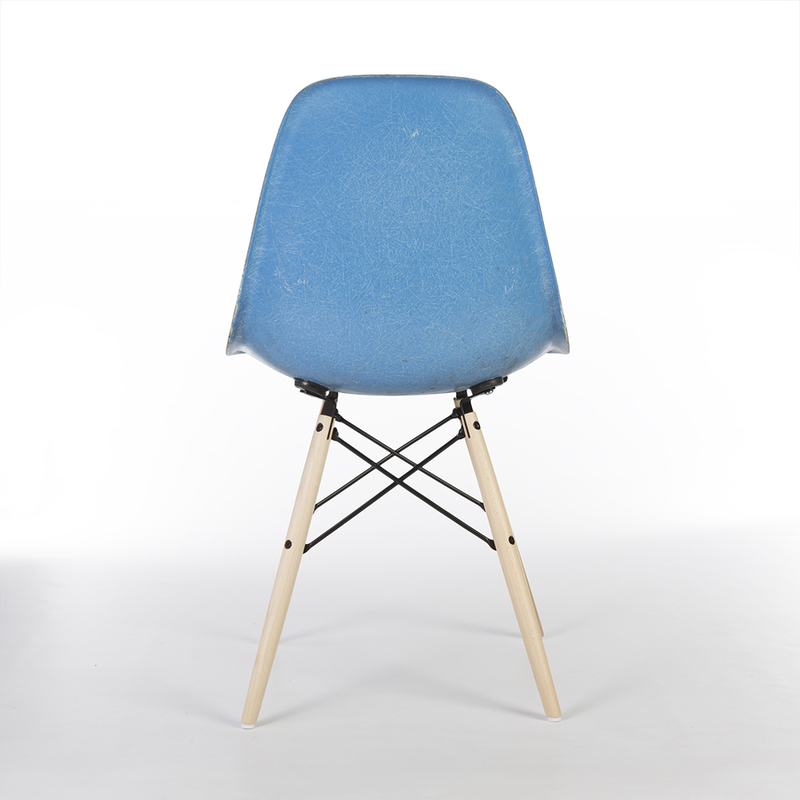 This rare chair was produced over half a century ago and with the cobalt blue finish, it has become increasingly rare. 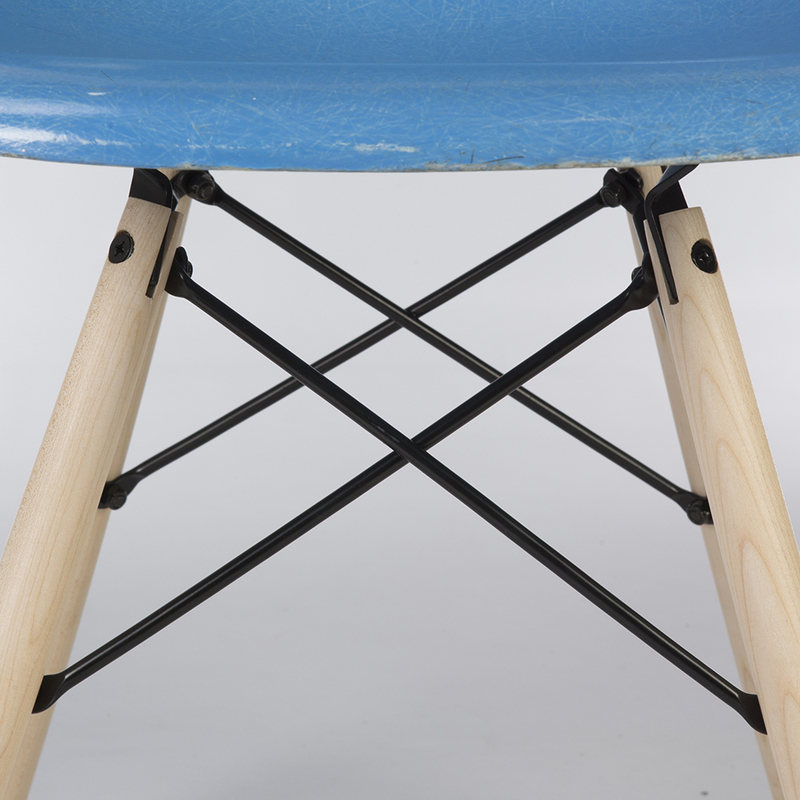 As shown in the pictures, the chair has been well used and has aged well with just a few scuff marks on the edge which is expected with ageing. 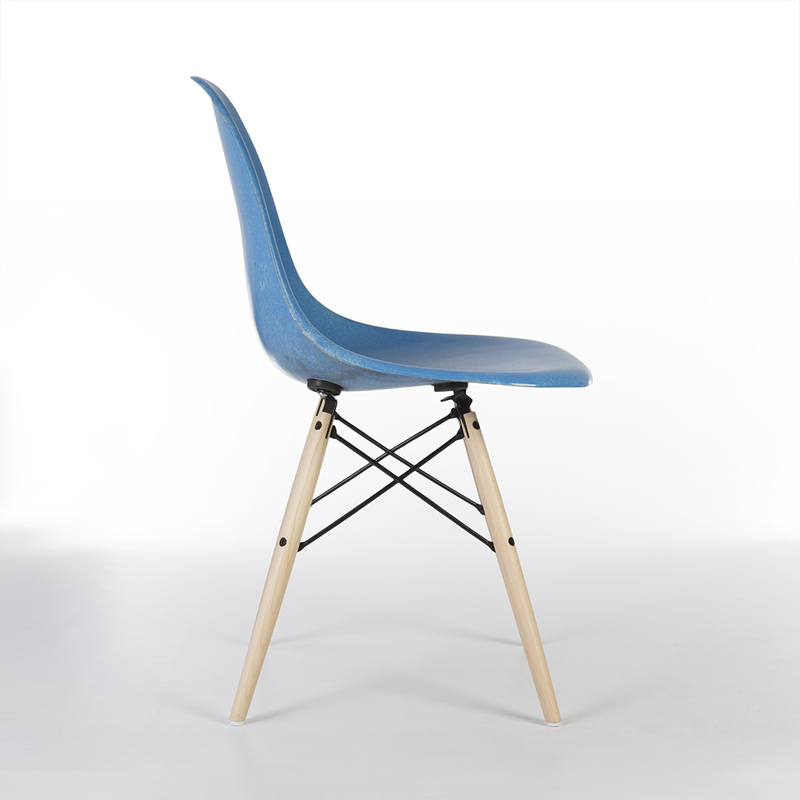 The newer, replacement Herman Miller maple DSW base is in good used condition. 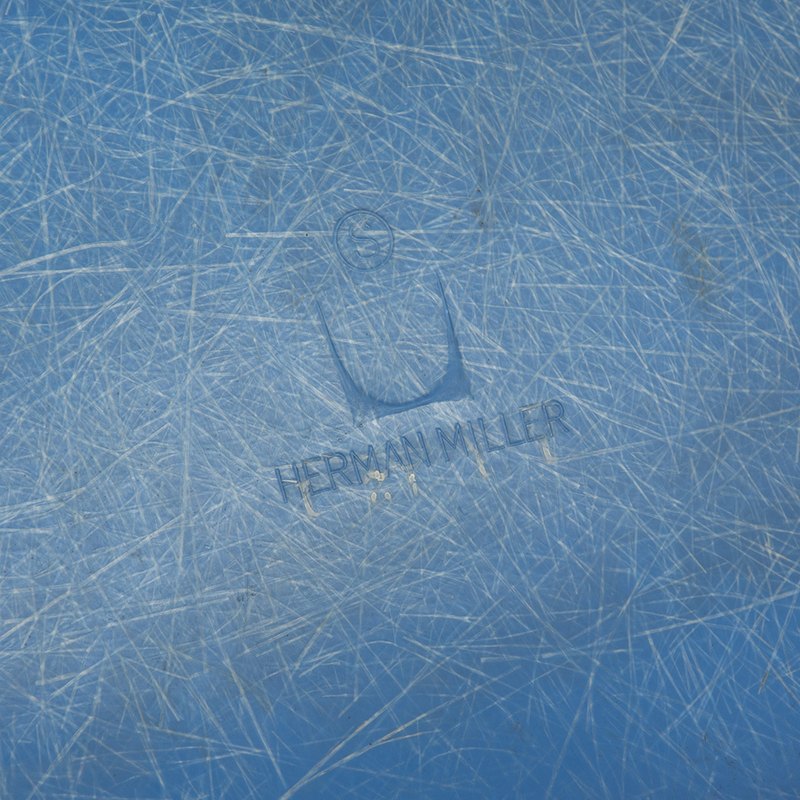 The ‘S’ stamp signifies the shell originates from Herman Miller’s Summit Plastics factory.